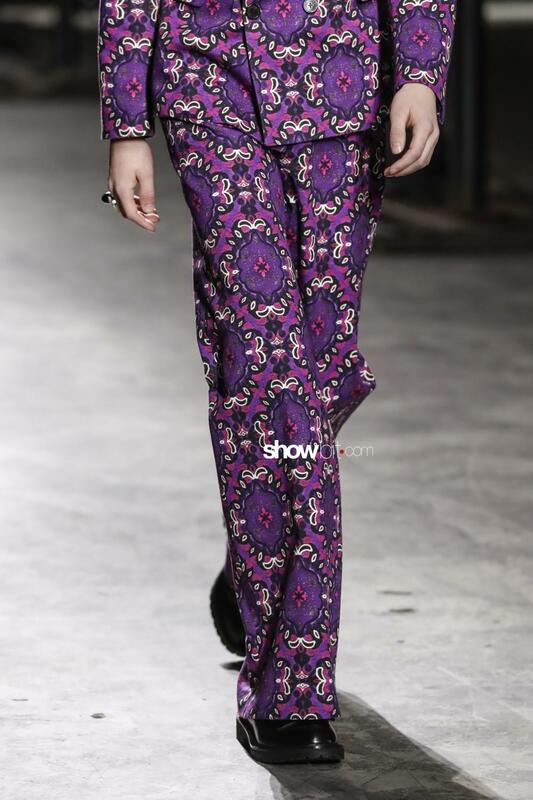 Tradition can’t be simply taken from the past as it is, telling the same story over again. 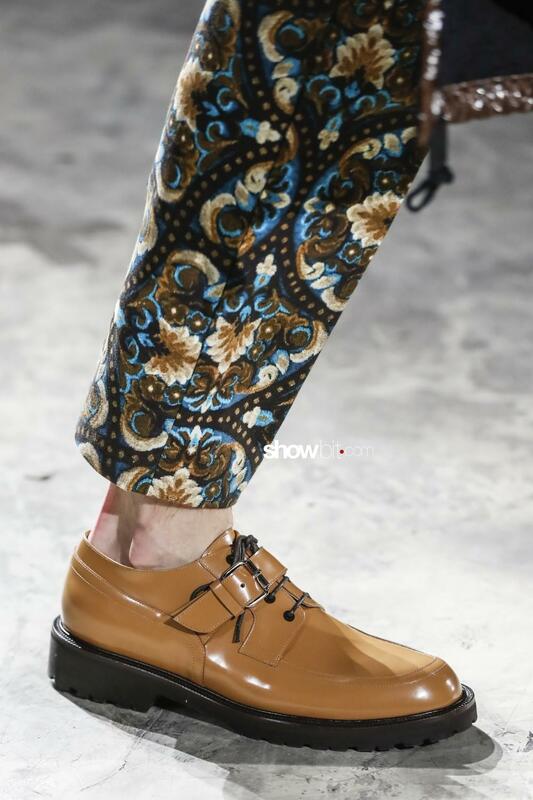 Tradition works well when it is able to interpret the new demands and update accordingly into new performances and aesthetics. 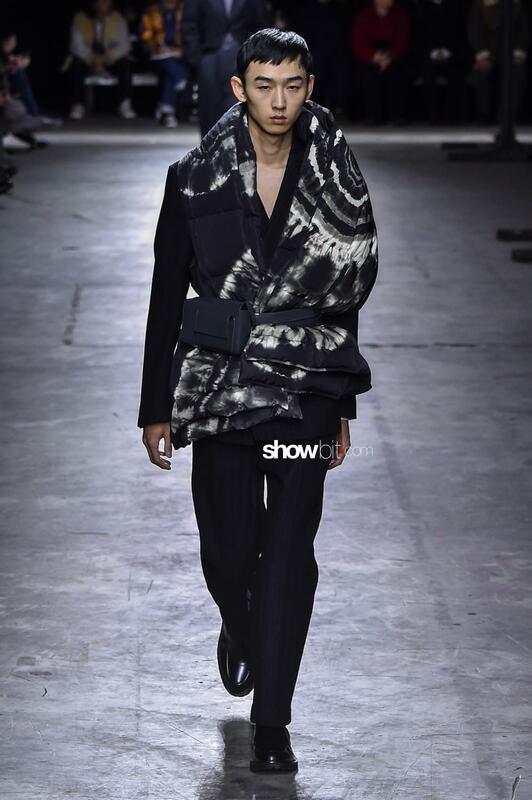 Dries Van Noten is looking at the future with a certain amount of nostalgia. 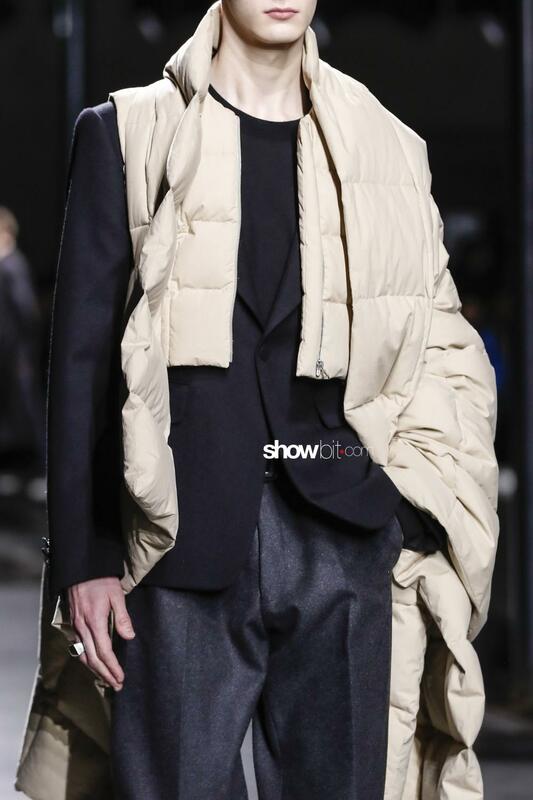 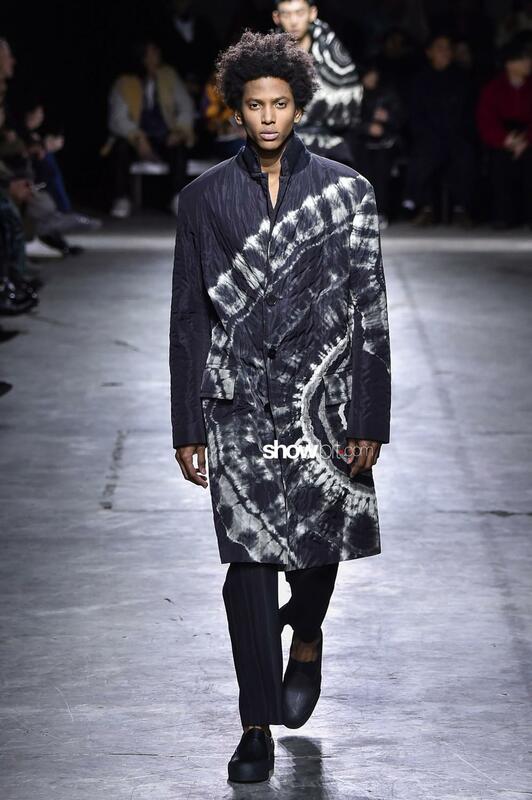 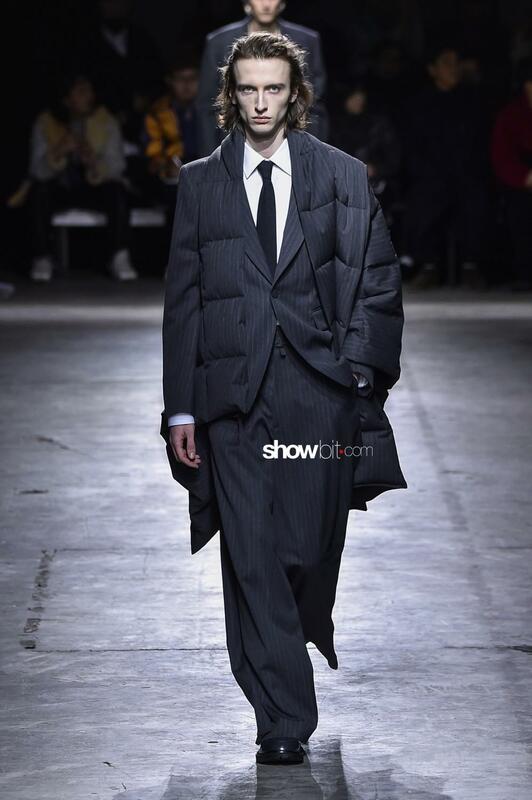 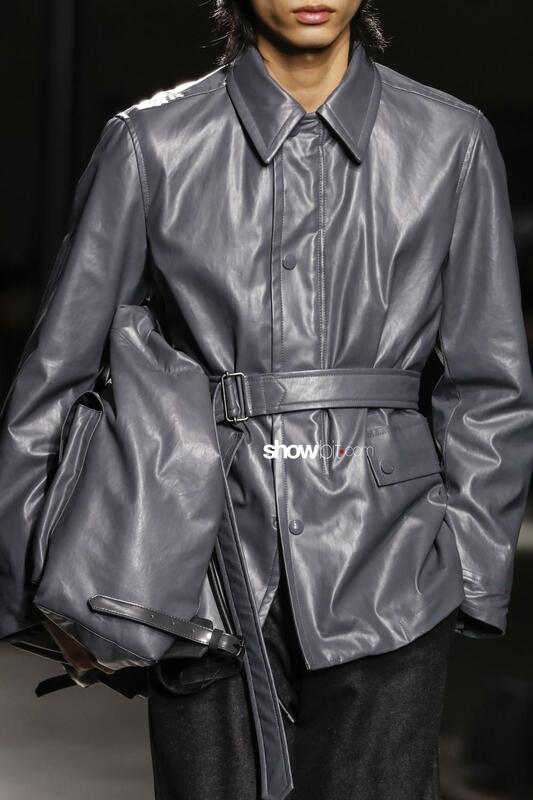 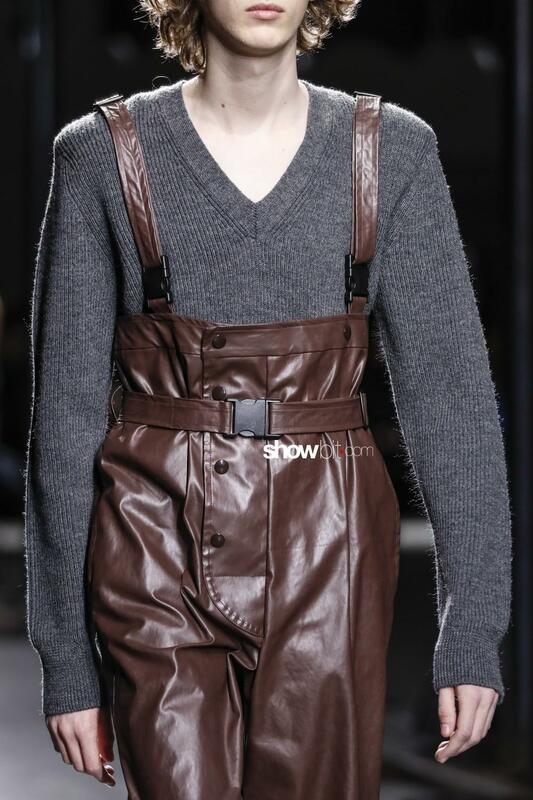 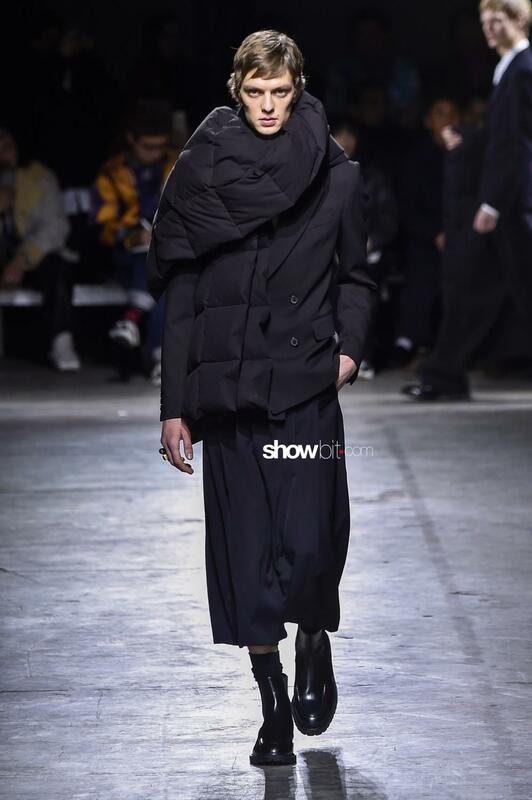 Always been the less radical among the “Six of Antwerp”, his good-mannered design is deeply rooted in traditional beauty, though the picture he’s offering of it for his Fall/Winter 2019 collection is given a fresh new perspective on menswear. 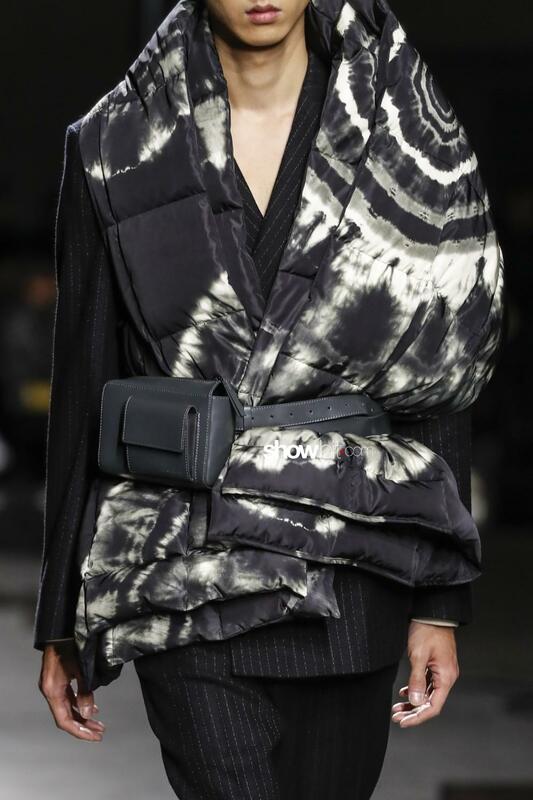 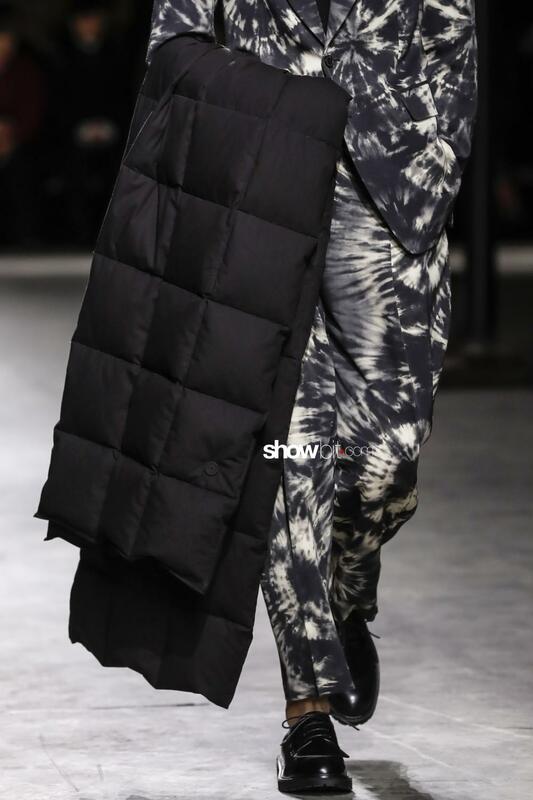 Antithesis of the kitsch that fills the contemporary luxury clothing of the nouveau riche, Van Noten’s aesthetic is a simplicity that looks subversive in a fashion panorama that is overwhelmed with maximalism, excess and an incessant research of the never-seen-before element. 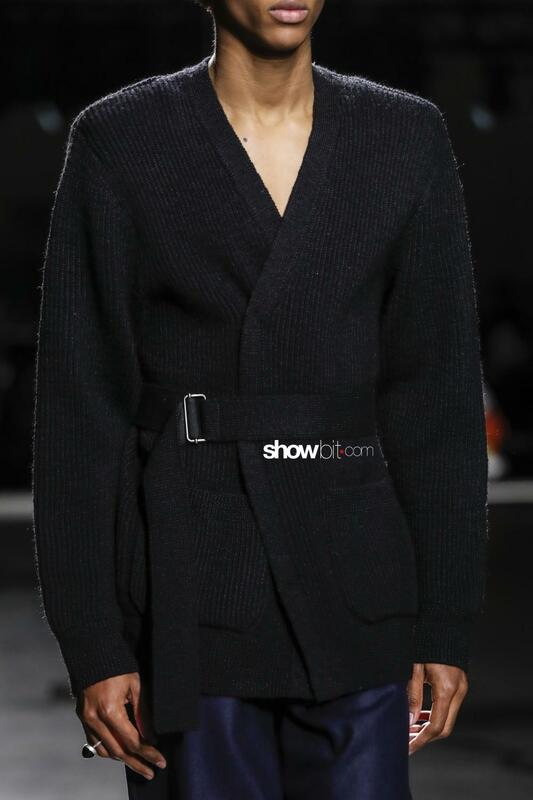 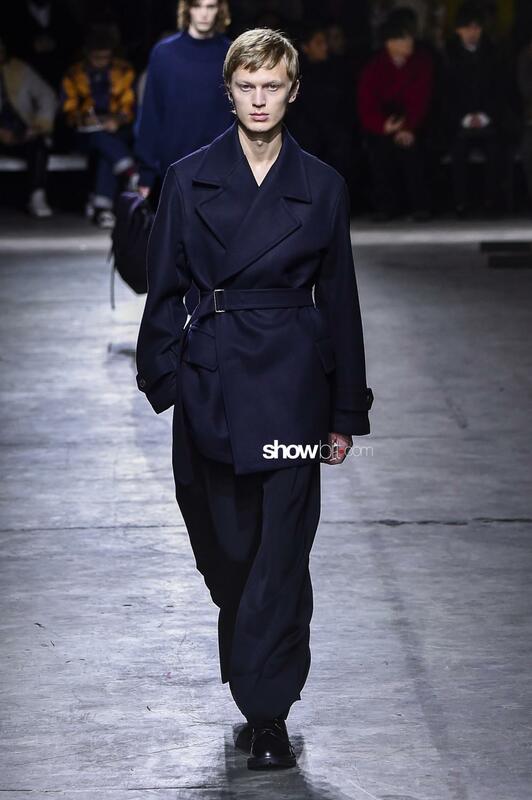 The collection develops through a predominance of the “Dries Van Noten blue”, declined into an airy and comfortable clean-cut tailoring: coats have a boxy silhouette, blazers and soft cardigans are tightened at the waistline, wrapping the body and pairing with wide leg trousers. 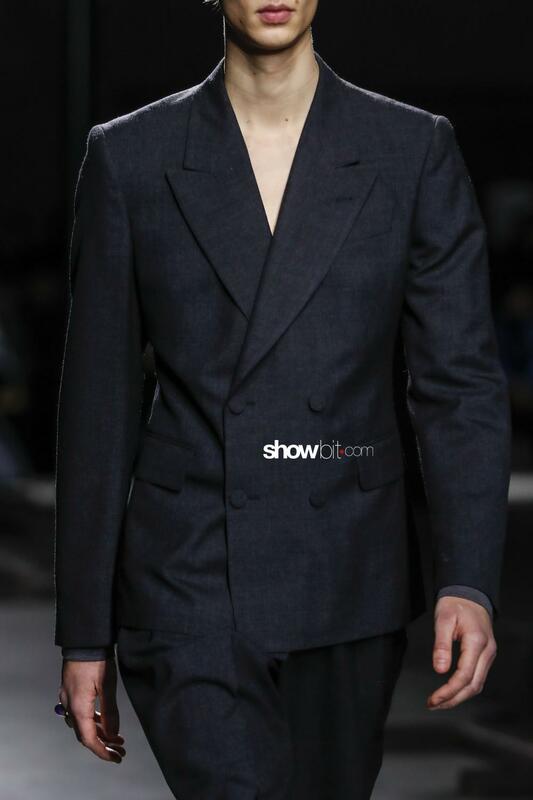 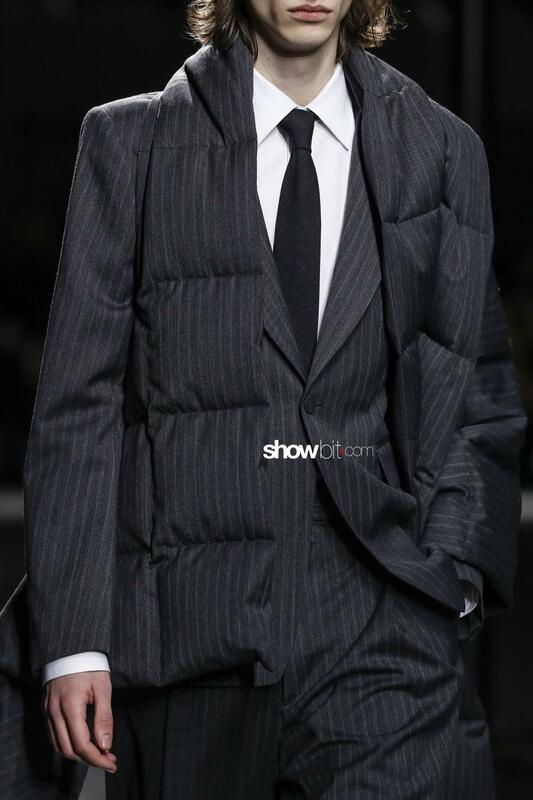 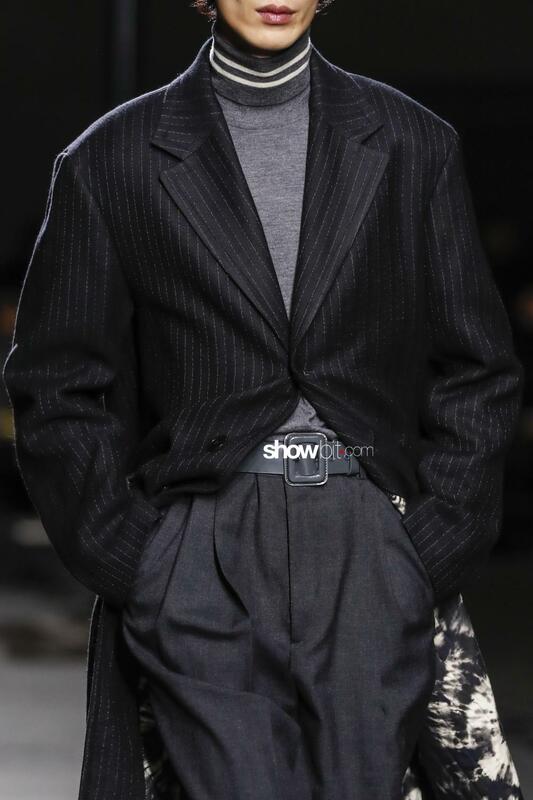 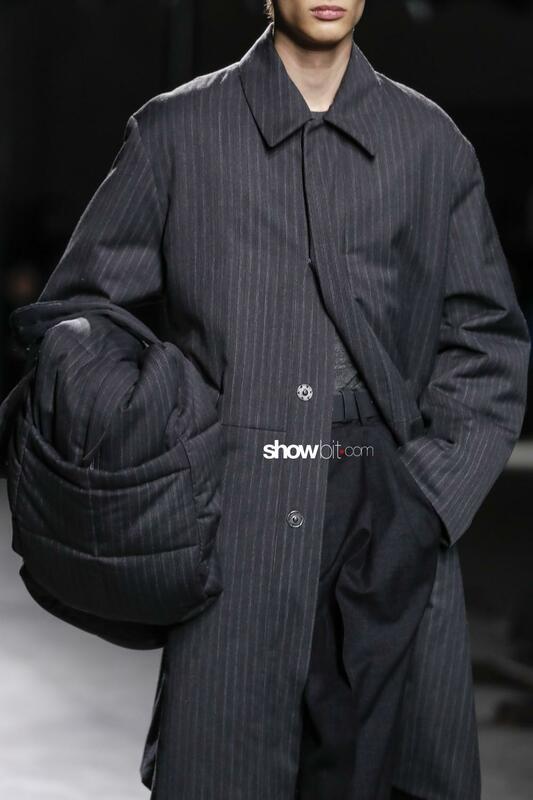 Puffed surfaces appear unexpectedly on perfectly tailored pinstriped suits. 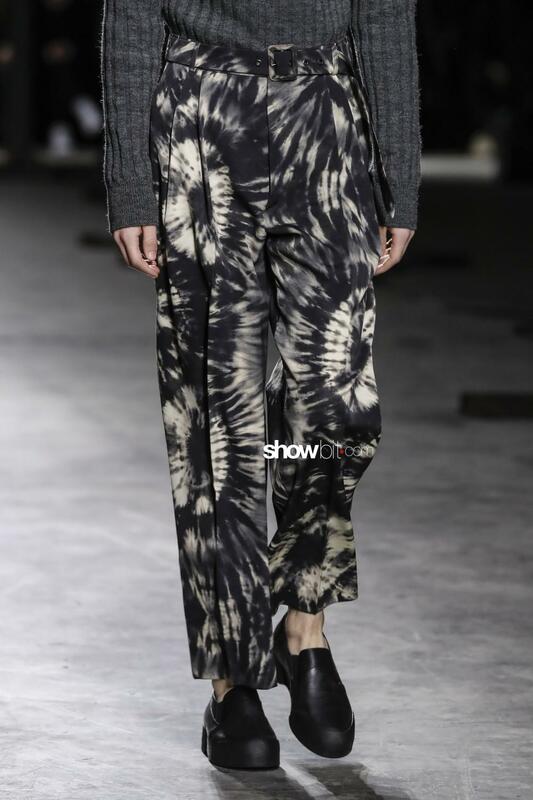 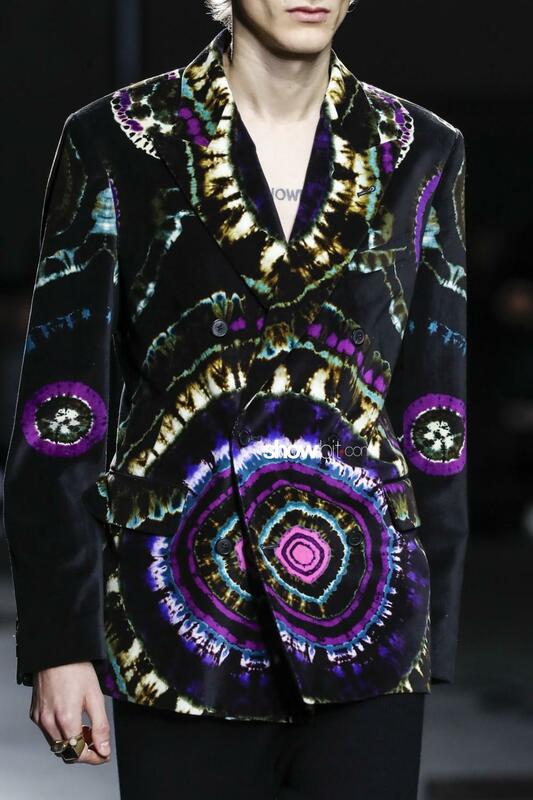 A common thread among the Belgian designer‘s collections is the passion for prints: here, shibori and batik techniques enliven the pieces with kaleidoscopic colours, designed by Dries Van Noten himself, that feels like a painter creating his own colours. 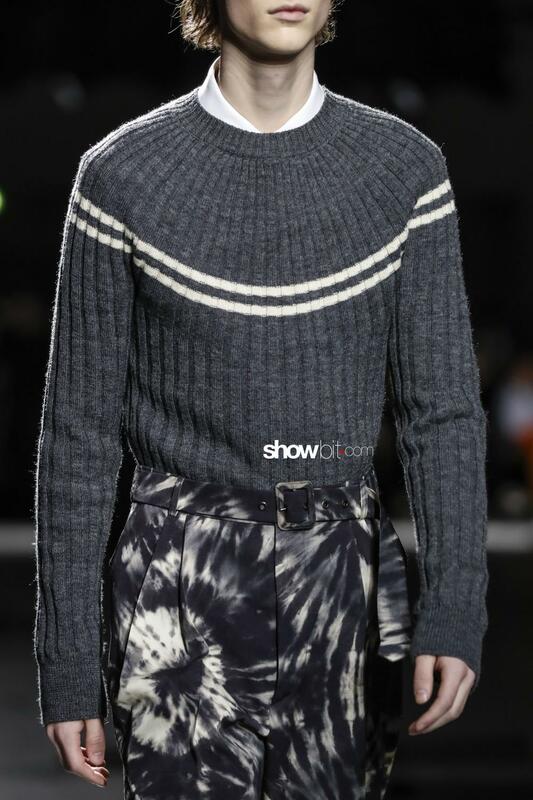 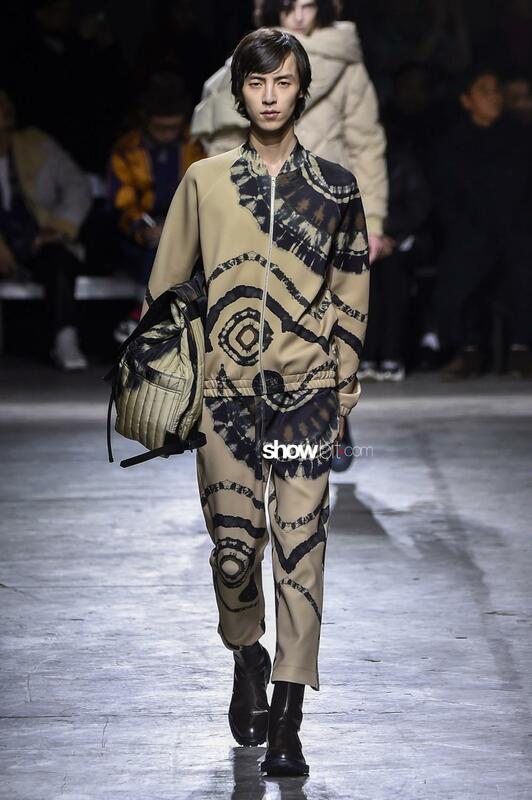 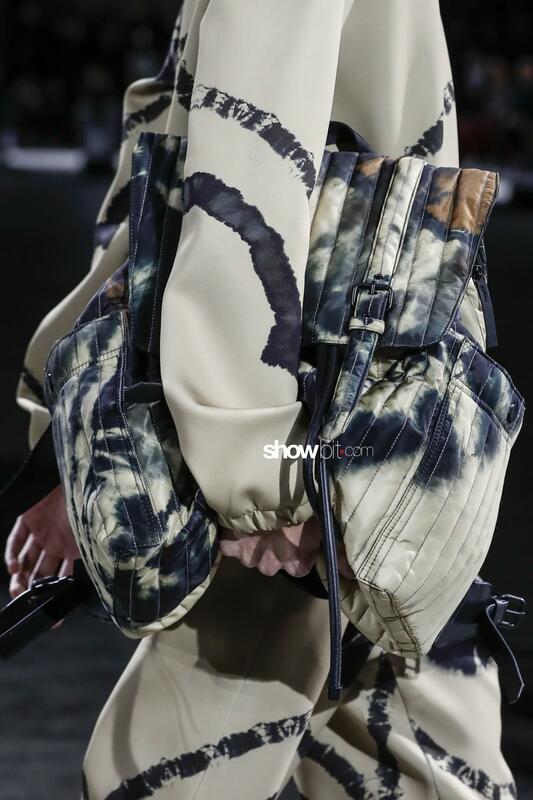 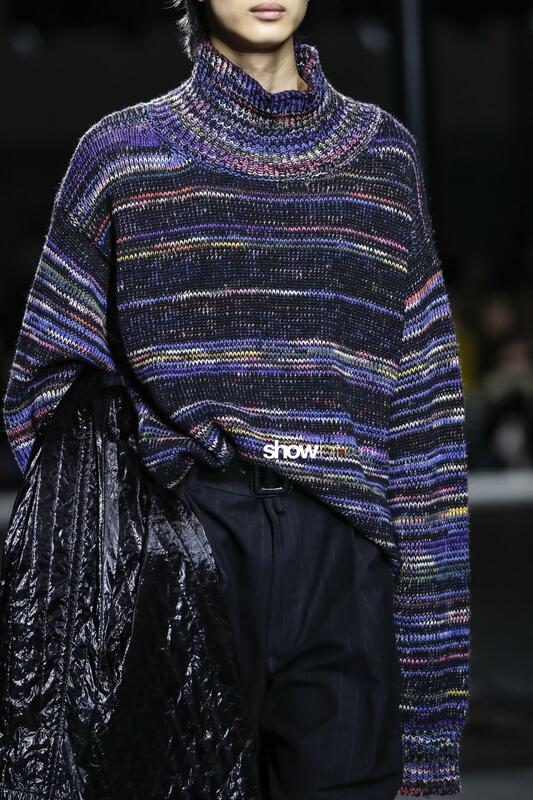 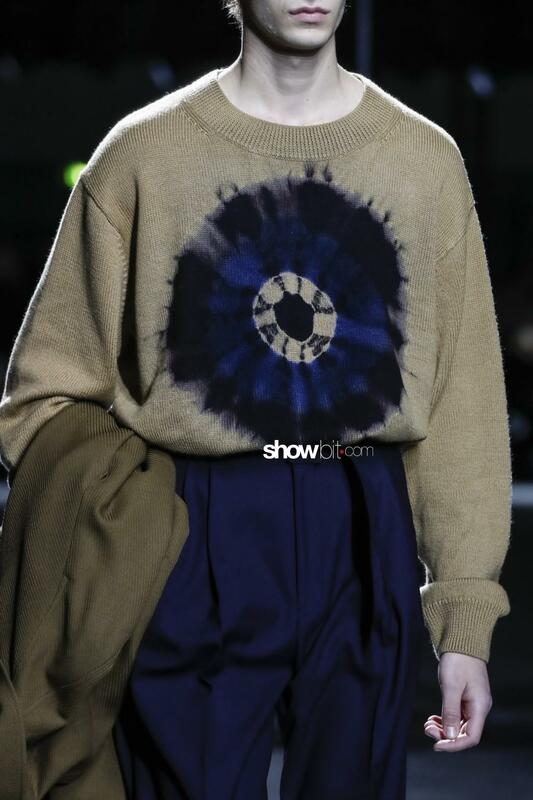 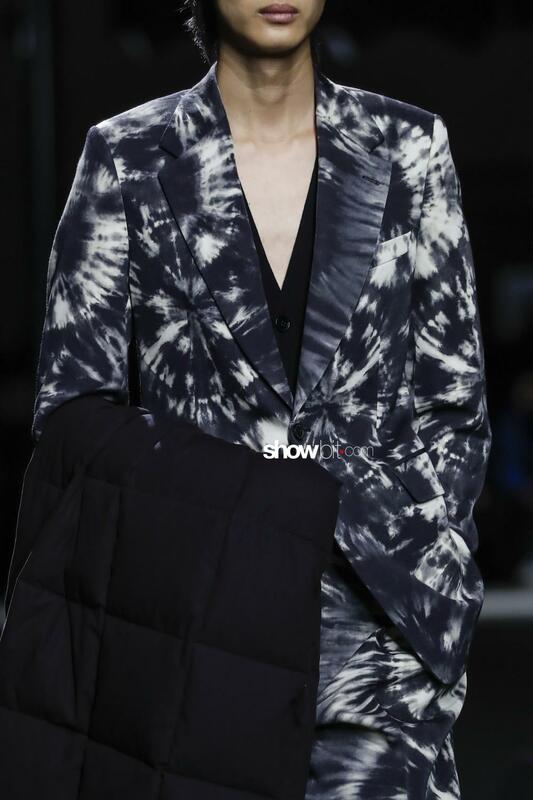 Take a look at the close-up images focused on some interesting details we’ve seen on Dries Van Noten’s Fall/Winter 2019 runway!